A collage of shots from recent weeks to wish you a good weekend. The shades of the sunset in the moment of the day that I prefer to savor, some food delicacy, combinations and fashion details from the latest outfits worn for events and the last spoils of shopping including colored pumps and the inevitable printed trousers, and then armswag, a cascade of accessories and the glimpse of almost surreal landscape in front of which it is difficult to stay impassive .. See you soon with news, reviews and new outfits .. Spent a good day darlings! wonderful shots, love your accessories & that pink heels! 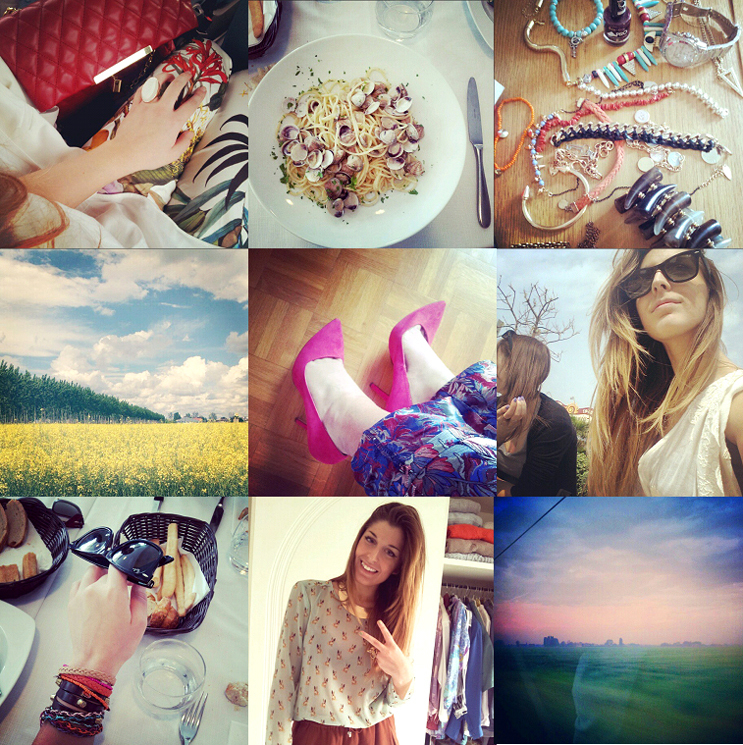 pretty insta photographs! love the jeans you are wearing on the first one! You look there great. Very nice insta pics. Have a nice weekend. ma che bello! mi piace troppo questo post! Che bello l'outfit nella foto centrale!